Promotes lactation In Sanskrit, Shatavari (Asparagus/Asparagus racemosus) means ‘she who possesses a hundred husbands,’ implying its ability to help support fertility and vitality. It regulates hormonal secretion and acts as a galactogogue in nursing women. 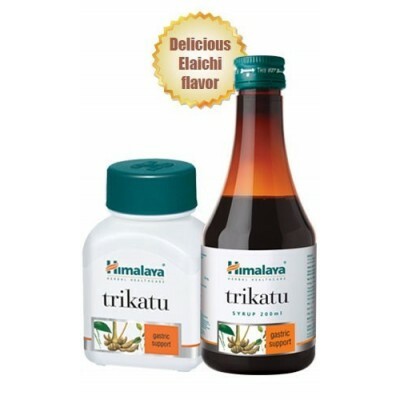 Digestive par excellence Trikatu (Indian Long Pepper, Black Pepper and Ginger/Piper longum, Piper nigrum and Zingiber officinale) is a polyherbal compound that provides a natural and safe support system for gaseous distension associated with impaired gastric function. 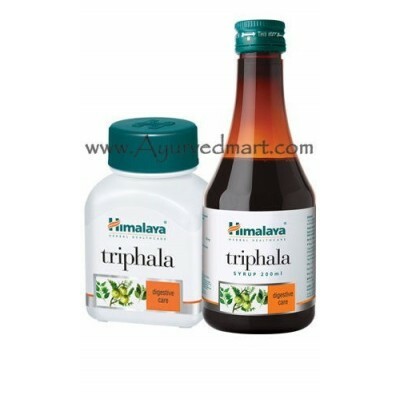 The prokinetic cleanser An immensely popular Ayurvedic herbal formula,Triphala(Terminalia chebula,Terminalia bellirica and Emblica officinalis) is an effective bowel cleanser. It combines the goodness of Indian Gooseberry, Belleric Myrobalan and Chebulic Myrobalan, which work together to produce effective bowel movements. Ensures rapid control of upper respiratory tract infections Tulasi (Holy Basil/Ocimum sanctum) is a sacred plant in Hinduism. In Sanskrit, Tulasi means ‘the incomparable one’. In the Ayurvedic tradition, Tulasi is used to support normal respiratory function, promote optimal health and longevity.